Dr. Timothy Casperson was born in San Antonio, Texas before moving to Conroe where he was raised by Dr. Thomas Casperson and his wife Faith. He is the oldest of two younger sisters who still reside in Texas pursuing their careers. Upon graduating from Conroe High School, he earned a Bachelor's of Science degree in Biomedical Science and graduated with honors from Texas A&M University. He later earned his medical degree from the California School of Podiatric Medicine in San Francisco, California. 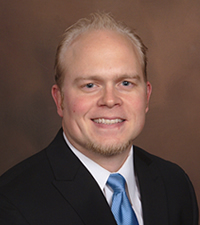 Dr. Casperson soon returned home to Houston to begin residency training at the Harris County Podiatric Surgical Residency Program at West Houston Medical Center. His residency program provided a well-rounded, high-quality, and high-volume training experience including extensive forefoot and rear-foot surgery, diabetic limb salvage, neurosensory, external fixation, arthroscopy, trauma, and reconstructive surgery. His training comprised rotations lead by specialists in the podiatric, emergency medicine, infectious disease, general and pediatric orthopedic, general and plastic surgical fields. Dr. Casperson specializes in the surgical and non-surgical treatment of pediatric & adult acquired deformities as well as sports & traumatic injuries of the foot and ankle. His professional memberships include the American College of Foot and Ankle Surgeons, the American Podiatric Medical Association and the Texas Podiatric Medical Association. In his spare time, Dr. Casperson enjoys playing golf, traveling, snowboarding, fly fishing and spending time with family and friends.